Have an upcoming event that you would like an experienced speaker for? Fill out the form below to get in touch with me for special requests. I would love to hear about your event! 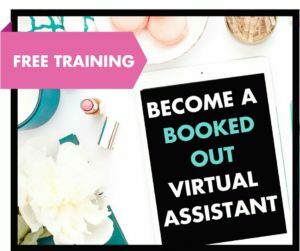 I am available to speak to audiences about starting a virtual assistant business from scratch, motherhood and entrepreneurship, following your passion, and/or leadership. Fill out the form below with the details and I’ll be in touch! Join a community with 30,000+ current and aspiring Virtual Assistant Savvies in our Private Facebook community!